If you have wondered what the market price for a natural gold nugget is, you are not alone. Its weight multiplied by the spot price of gold is not the full value of a nugget, there are other factors involved as well. The market price of natural gold nuggets will depend on numerous variables, including weight, purity, country of origin, color and other factors. Many times a nugget will contain other materials like quartz, silver and others. Gold in the form of nuggets is found less frequently than diamonds nowadays, and these treasures form close to the surface so they are being found less often than ever. Because of this supply issue, and the demand that this investment form has seen, you will usually pay more than the gold market price for nugget form. This might not be necessarily to your advantage. In the past, a natural gold nugget that was discovered was usually melted down and used for other purposes instead. Unlike coins and bars, which are still around today from centuries past, most wholesome gold nuggets are recently mined or discovered, and few specimens exist from the Gold Rush and other historical times. 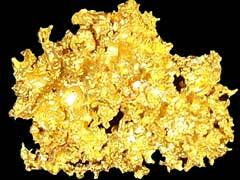 When you decide to buy a natural gold nugget you will usually be quoted a gram price, and this amount will need to be multiplied by the gram weight of the specific nugget you are purchasing. This will give you the total market price for the bullion you want. These wholesale gold nuggets can be as small as a fraction of a gram and then increase all the way up to five grams or more. A gold nugget may or may not be the best gold investment in your specific investing circumstances. Because these options usually have a higher price than the market value of the precious metal they will cost more initially, but the increasing rarity of a natural gold nugget will help ensure that the value either stays the same or appreciates over time. Supply and demand set the market price usually, and that is the case with nuggets as well. If you ever happen to come by these rare specimen, do not try to alter them in any way by melting them down in hopes of extracting gold or breaking chunks off or doing other manipulations. Sometimes a unique size, shape and even a story behind a nugget can raise its value considerably. Throughout the history Alaska and Australia had been the premium locations where some of the biggest, rarest and most unique pieces were discovered. Take your piece to a professional assaying bureau to determine its true value and price that might be impossible for amateurs to know.